Faced with violent conflicts, political crises, and climate-related disasters, there is no shortage of international issues vying for attention these days. Part of the solution but also an issue demanding attention in itself is the 2030 Agenda for Sustainable Development. Comprising 17 goals – the Sustainable Development Goals (SDGS) – the Agenda requires governments, societies and international organisations to mobilise the necessary resources to bring people out of poverty, tackle climate change, and build peaceful, inclusive societies – the root causes of today’s crises. As we move from the “billions to trillions” needed to finance this global agenda, there is likely to be more interest in how governments are raising revenue to meet the development targets — and, critically, how they are spending these funds and reporting progress on the SDGs. Governments must also show how they are “leaving no one behind” by reporting on how their policies are impacting particular groups in society. At this stage, it is difficult to know how governments are investing in essential development areas such as health and education, and the impact these investments are having. Research by the International Budget Partnership and Development Finance International looked at the relative ease of identifying government spending on the SDGs’ predecessor – the Millennium Development Goals (MDGs). Of the 72 countries monitored, one third (24 countries) did not have sufficient data to allow further analysis. Of the remaining countries, 11, including the Dominican Republic and South Africa, were considered to have relatively strong budget systems that enabled meaningful tracking of MDG spending. Some countries are sharing budget information in ways that show the impact of decisions on different people in society, including those in marginalised communities. Brazil and Mexico, for example, address populations, such as indigenous communities, and priorities like climate change in their budgets. This type of disaggregation in publicly available information is critical to ensure that governments are, indeed, leaving no one behind. While these examples are promising, governments have a long way to go to be more transparent throughout the budget process. According to the 2015 Open Budget Survey, 76 percent of countries surveyed (78/102) failed to provide sufficient budget information to the public. Public access to this information is essential to ensuring that people and their organisations know how public money is being raised and spent to deliver critical public services and implement development priorities — and to be able to hold governments accountable. 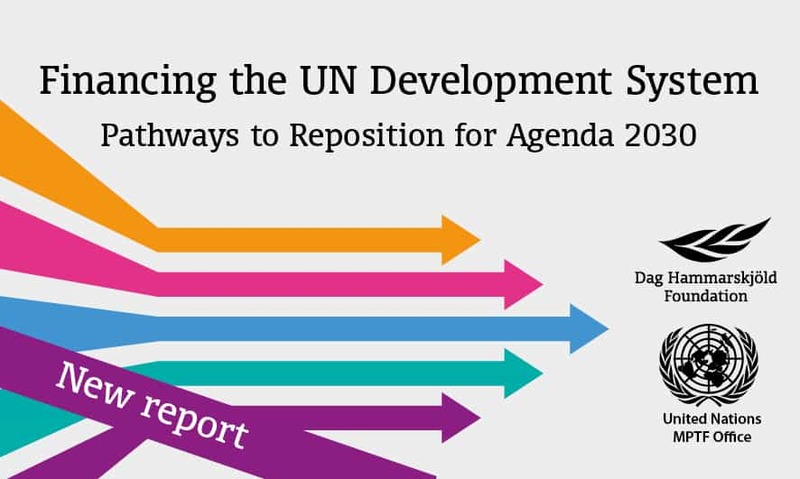 As we highlight in our contribution to the new report “Financing the UN Development System: Pathways to Reposition for Agenda 2030” there are a few practical things that can be done. Governments need to open their budgets by providing more regular, comprehensive and accessible budget information, and they need to provide opportunities for citizens and civil society to engage in budget processes. Governments can improve transparency quickly and with little cost simply by publishing on their websites those documents that they already produce for internal use. Open and inclusive practices, like participatory budgeting, can strengthen trust, citizen satisfaction with public goods and services, and even tax collection, which means more of the critical revenues needed to finance sustainable development. Governments can learn from the many examples of public participation around the world and establish mechanisms to engage citizens throughout the budget process. .
National and international actors should encourage collaboration across countries and institutions and share budgeting and monitoring practices in SDG plans and reviews. The UN can capture good SDG budgeting and monitoring practices in its guidance and tools for country planning, implementation and reporting. Governments can work together with oversight actors, including supreme audit institutions, parliaments and civil society, to monitor implementation and report progress at the country level and through the UN’s accountability mechanism, the High Level Political Forum. Development partners have an important role to play. UN Agencies and partners at the global and country level should have a coherent strategy on how to support budgeting and monitoring, bringing together different streams and thematic areas of work to foster policy coherence and integrated financing. These efforts could ground a UN-wide agenda on open budgeting and accountability. It is a critical time to strengthen national budget systems and practices for more effective and accountable spending and monitoring to meet the SDGs. 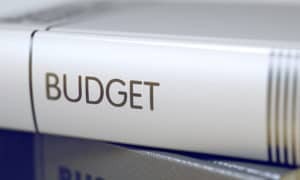 Open budget practices, including publishing comprehensive budget information, enabling meaningful public participation and ensuring strong oversight throughout the budget cycle, are essential to tackling global and country challenges in implementing the SDGs. It is not just a crucial priority but also an opportunity for wider partnerships with real impact. This post originally appeared on the Dag Hammarskjöld Foundation’s blog in support of the publication Financing the UN Development System: Pathways to Reposition for Agenda 2030, published on 8 September 2017. Gender Budgeting in 2017: Where Are We?